Do I Need an Accredited Degree to Practice Social Work? Social workers are incredibly valuable – these hardworking individuals offer help, protection, and support for kids and families in need. And the work they do changes lives every day. In order to become a social worker, there’s a special education and level of experience needed. 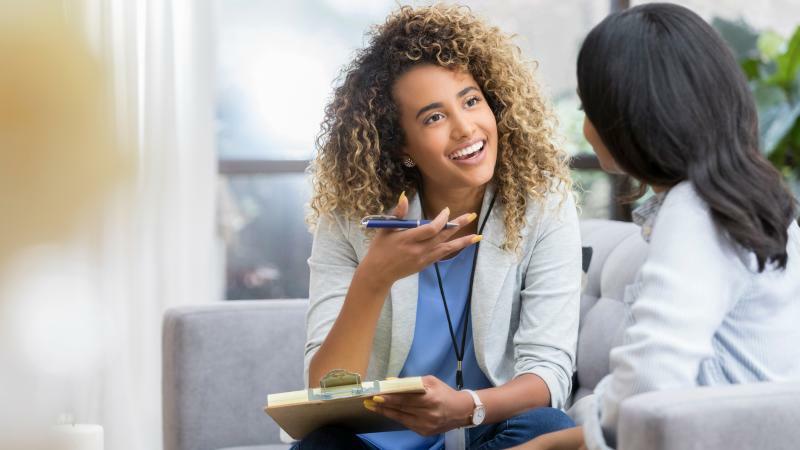 If you’re interested in becoming a social worker, here’s everything you need to earn your degree and understand the difference accreditation makes. First things first: if you’re thinking about becoming a social worker, you’ll need a degree. Because social work is a field that includes mental and emotional health, individuals’ well-being, and delicate situations involving children and families, those who become social workers need to learn skills that others don’t. All social workers start by earning their bachelor’s degree. This is the first step towards your career – whether you choose a traditional 4-year program, an online degree program, or an accelerated program, you’ll learn the basics of social work by majoring in this field and earning a bachelor’s in social work. Your courses, according to Study.com¹, will likely include sociology, psychology, social policy, research, human behavior, and foundational information, such as what it’s like to work with families, individuals, and entire communities. In addition to preparing for your degree by taking classes, it’s also common for students to combine a bit of practical, or hands-on, work while earning their bachelor’s. Many social work degree programs include work experience in schools, at government agencies, in healthcare and residential facilities, or with different parts of the population. This will give you valuable experience putting your new social work knowledge to work, and it’ll help you discover which areas of social work you like the best. Once you’ve earned your bachelor’s degree, you may also need to earn your master’s degree. Master’s degrees are optional for some social work careers, but certain positions require them. According to Study.com², anyone who’s interested in working in a clinical setting like a hospital, healthcare profession, or school will be required to have their master’s degree. Master’s degree programs for social work give you the opportunity to specialize in a specific interest, like clinical practice, policy creation, or management – and with this graduate degree, you’ll be able to apply for more advanced positions. Now that you know you’ll need a bachelor’s degree at a minimum, it’s important to choose a degree program that’s accredited. Accreditation is important – if your degree is earned from an accredited social work program, you and your future employers will know that you received a quality education that’s up to industry standards. If your degree program isn’t accredited, there’s no telling what you learned or studied. Social work programs are typically accredited by the Council on Social Work Education (CSWE). According to Capella University³, CSWE accreditation is the “gold standard in social work education,” which means the school’s social work curriculum is held to rigorous standards and teaches appropriate material that will prepare students well. In order to get CSWE accreditation, the CSWE⁴ reviews a degree program’s social work curriculum, examines student ratios, and ensures the coursework meets their standards. CSWE accreditation also ensures that social work students get field experience and that students are appropriately prepared for their state’s licensing board after graduation. If you earn your degree from a non-accredited institution, you’re putting yourself at risk. There’s no guarantee that you’ll get the same quality as an accredited program, and you may not study the same information. And problems can arise when you apply for jobs and try to get licensed if you don’t have an accredited degree, since employers won’t be able to determine the quality of your education. So, you need to earn your degree in order to become a social worker – but you also need to make sure that the degree program you choose is accredited. How can you figure out which schools offer accredited programs and which don’t? It’s easy to find accredited social work degree programs whether you’re looking for bachelor’s or master’s programs. A quick online search will reveal everything you need to know. Just search for accredited social work degree programs, or schools offering accredited social work degrees. Additionally, you can search specifically for CSWE accredited programs⁵ by looking solely for this social work specific option. With hundreds of different social degree programs available from a variety of schools both in-person and online, you won’t have any problem finding the right accredited degree for you and your future. With that degree on your resume, you’ll be well prepared for social work as a career.